Calling all you miso lovers! This week’s Japanese-themed episode on Gusto TV’s new Canadian cooking show, One World Kitchen, is all about fermented soy bean paste, one of Japan’s most popular ingredients. 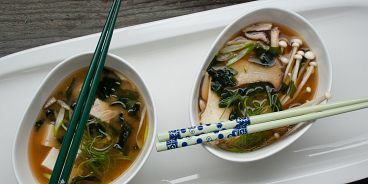 Vancouver-based host Hana Etsuko shares six of her favourite miso-centric recipes…and they are not only easy, they’re unique and guaranteed to impress your dinner guests. 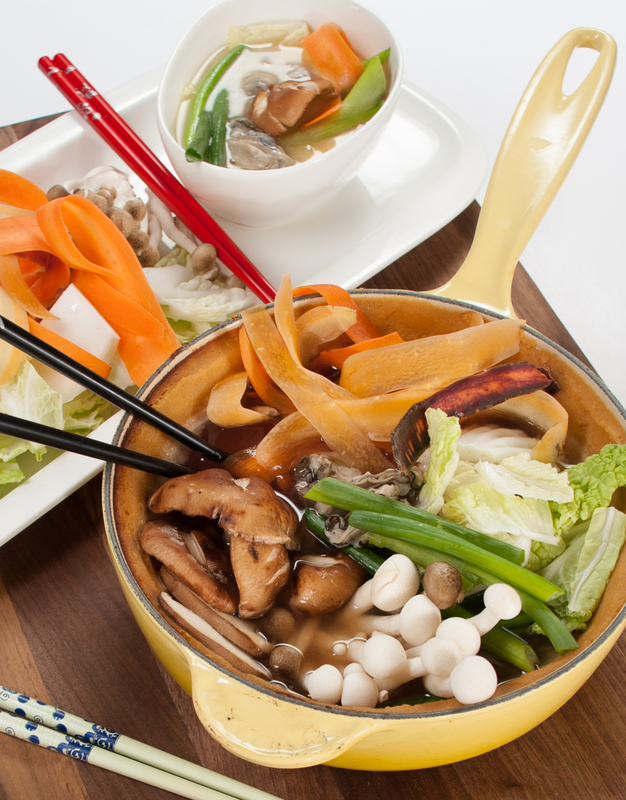 Find out where Hana shops for Japanese ingredients in Vancouver here. This has got to be one of the easiest recipes on the planet — yet with its Japanese roots, you can easily impress your friends with your “ethnic cooking skills”. 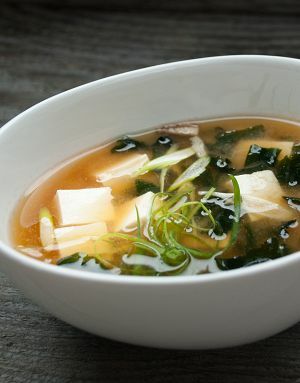 Don’t tell them that all you did was heat broth, add miso paste and garnish with green onion! Bulk things up by adding mushrooms and tofu. Host Hana recommends you use shiitake, enoki and oyster. Recipes here. This is another somewhat tricky-sounding dish that Hana makes with ease. If you haven’t had much success cooking fish in the past, follow along with Hana here and she will steer you in the right direction. 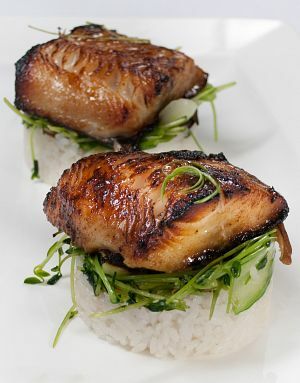 Her sweet and savoury glazed cod recipe is straightforward and the end result is a fall-apart-tender, gleaming filet. She describes it as the “candy of the savoury world”. For this recipe, make a trip to the liquor shop for a bottle of sake. The Japanese cook with it the way we Canadians cook with wine. This dish is the most visually stunning of the One World Kitchen episode and it’s served table side, making it perfect for a dinner party or a big family dinner. I love the way Hana spreads a thick coating of red miso on the inner sides of her cooking pot — this acts as ‘the river bank’, while her dashi broth (part of her pot’s content) is ‘the river’. See recipe here. Did you know daikon is just a big Japanese radish? 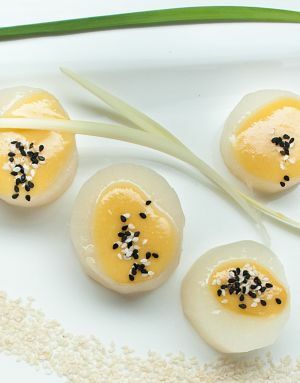 Hana shares two super simple daikon salad recipes — a warm one (pictured) and a chilled version — that look so tangy and delicious, they will become staples in my kitchen. Her cold salad dressing already has: miso paste, lemon, ginger, dijon, oil and water are matches made in heaven. Head here to watch her demonstrates and visit One World Kitchen’s site here for the no-brainer recipes.